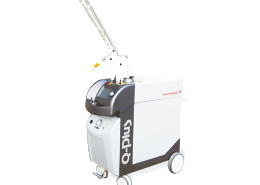 The Quanta Q-Plus C Laser System - It's finally here! https://www.disappearink.com.au/wp-content/uploads/2013/04/Machine.png 500 600 Peter Poulos https://www.disappearink.com.au/wp-content/uploads/2013/04/DI_Logo.png Peter Poulos2014-01-29 21:39:422017-07-30 17:41:50The Quanta Q-Plus C Laser System - It's finally here! https://www.disappearink.com.au/wp-content/uploads/2013/04/DI_Logo.png 0 0 Peter Poulos https://www.disappearink.com.au/wp-content/uploads/2013/04/DI_Logo.png Peter Poulos2014-01-25 22:02:402017-07-30 17:41:57Happy Australia Day!